On Wednesday the 7th of October, we continued our cruise in the Dalmatian coast with a leg from Mljet to Korčula town. This was the best day of the week in terms of wind, and we were able to sail most of the 17 nm leg in moderate wind. In the afternoon some dark clouds gathered in the sky and it started to drizzle. We were a bit worried, that the small Korčula ACI marina would be already full in the afternoon, but there were a lot of vacant places when we arrived. About an hour after we had parked our charter Jeanneau in the marina, it started to rain heavily and the wind shoot up to 30 knots. There were still many boats arriving and some had problems with docking in strong cross-wind. Most of the boats sailing in Croatia seem to be charter boats, which means that many of the skippers are not familiar with all the maneuvering characteristics of their boats. Our boat was one of the smallest charter boats, a 35 foot Jeanneau Sun Odyssey 349 from 2015. The boat has a modern hull with twin rudders, which means that her handling characteristics are quite different from Dolphin Dance. 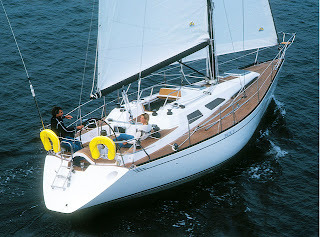 Jeanneau 349 is (a lot) more agile boat which is handy especially when going astern and parking the boat in mediterranean style. But on the other hand, she needs also more speed to gain any steerage (forward or astern) due to the fact that there is no rudder behind the propellor. This can be a bit problematic when tight maneuvering in small marinas with no space to gain that speed. 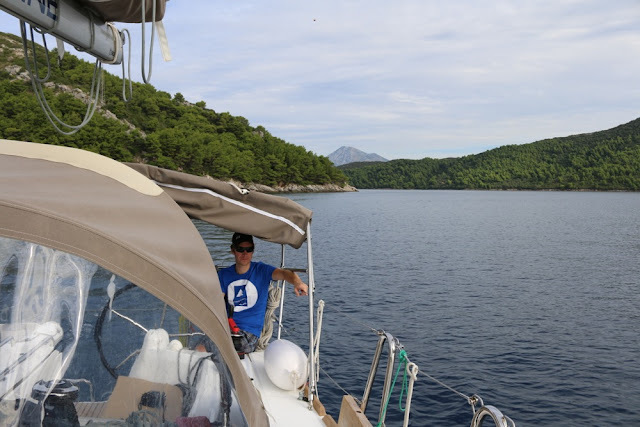 From Korčula we continued back to Mljet island, where we found a beautiful and almost empty wild anchorage near the village Pomena. The day was warm and sea temperature still around pleasant 24 degrees. On Friday we had still two more sailing days left, but a storm was forecasted to hit the area on Saturday so we decided to sail back to Dubrovnik marina on Friday evening. Instead of sailing, we rented a car and drove to see Montenegro, but unfortunately, the weather was grey and rainy throughout the day. In general, Mediterranean Sea is an amazing sailing area with beautiful nature, pleasant climate, interesting history and tasty food culture. In addition to that, Croatian archipelago offers sheltered waters and natural harbours to choose from. 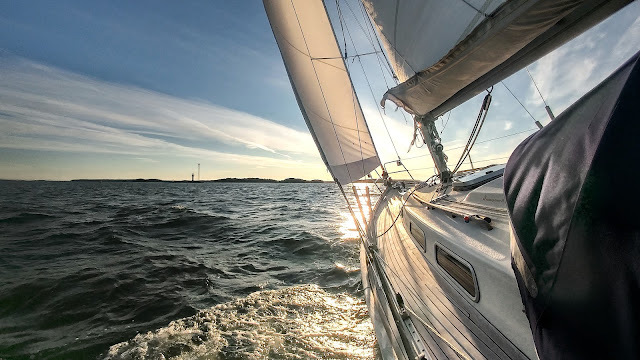 It is easy to see why it has become one of the most popular sailing areas in Europe. Gale force winds hit Dubrovnik in Saturday evening. Looks so warm, sunny, beautiful and lovely! Glad to see you back at the blog! Wishing you a happy 2016 with fair winds and clear skies. Thanks for comments Claire, Merenneito and Kathy :) And happy New Year!